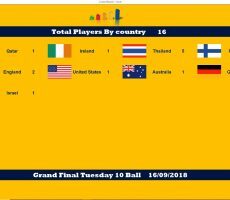 TUESDAY 10 BALL GRAND FINAL – SEASON 19. 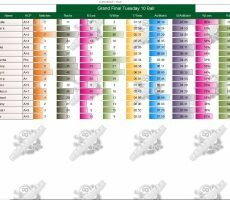 SATURDAY 15th SEPTEMBER : PETER WINS. 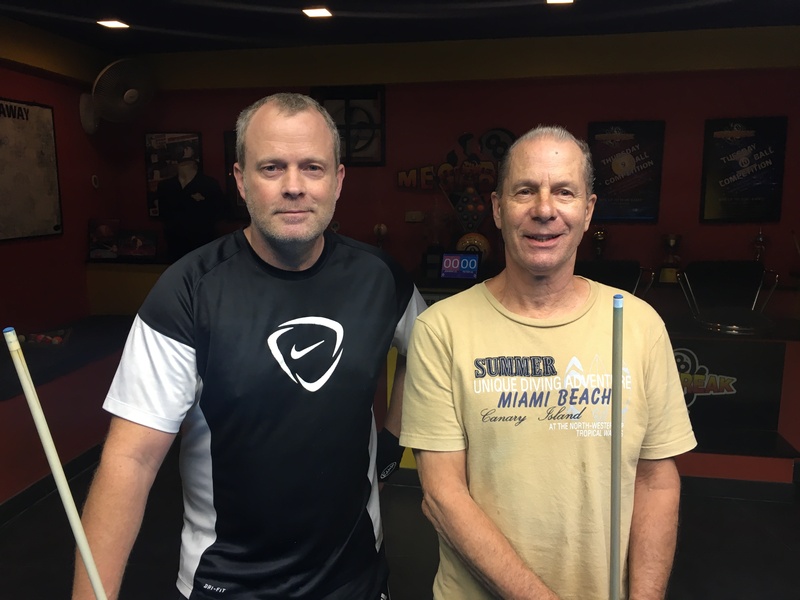 Congratulations go to America’s Peter Pellack for winning our 10 Ball Grand Final for Season 19 on Saturday night. After having a tough run of luck over the past couple of months which saw his handicap move down to A+, he took full advantage on Saturday to go all the way to the winners enclosure and claim the 1st Prize of 10000 baht. 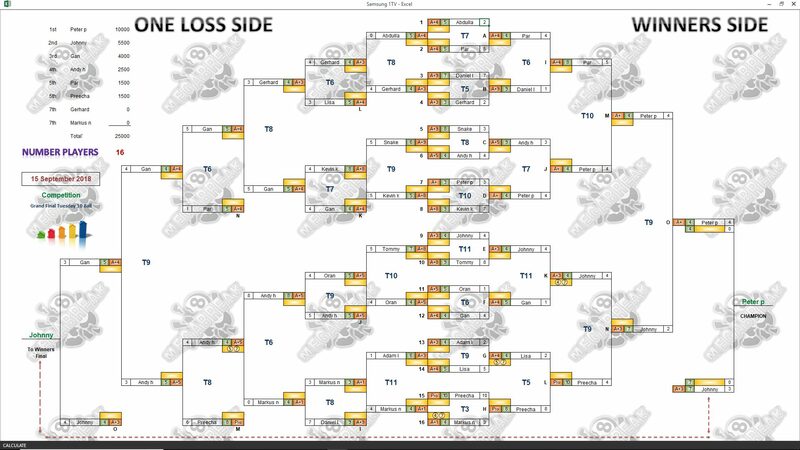 He played well to go undefeated all night long through five matches, with none of his opponents even reaching the hill, and ended up a worthy winner. 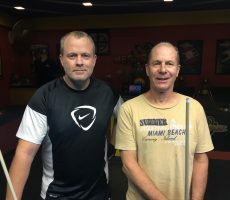 In the final he beat England’s Johnny Whitley by 4 racks to 3 (race 4-7) to lift the trophy. 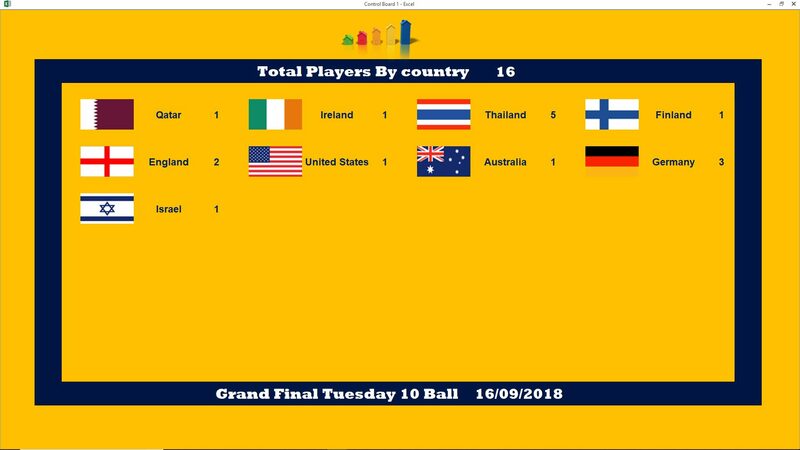 Johnny also played well to reach the final, only losing out to Peter (twice) on the night, and took home 5500 baht as Runner-Up. 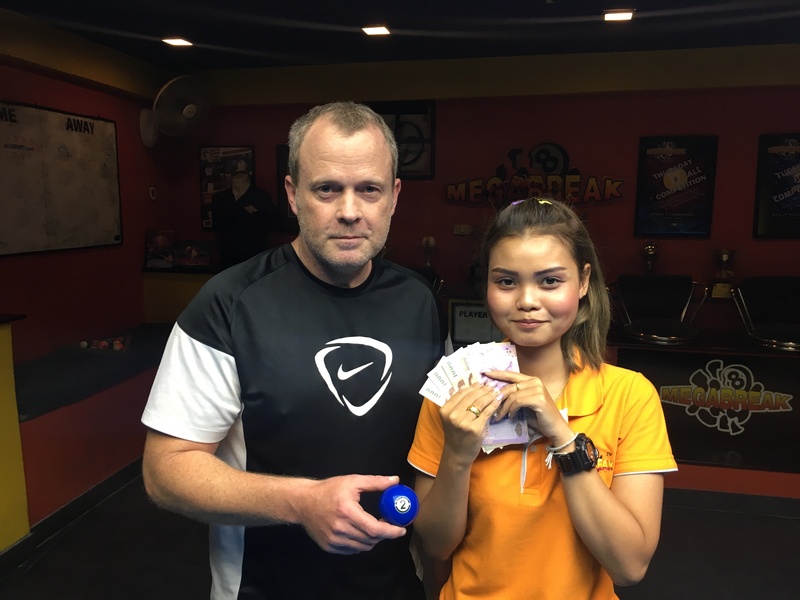 Megabreak staff member Gan Kanchana Chinboot was next in line, finishing in 3rd Place collecting 4000 baht, and she was closely followed by Andy Hall from England in 4th, receiving 2500. 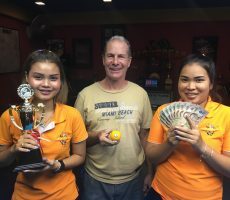 Champion : Peter (A+) – 10000 baht. 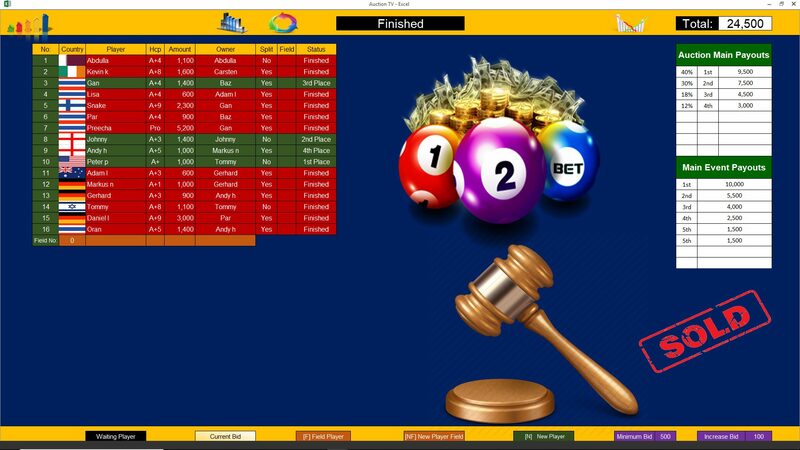 Runner-Up : Johnny (A+3) – 5500 baht. 3rd : Gan (A+4) – 4000 baht. 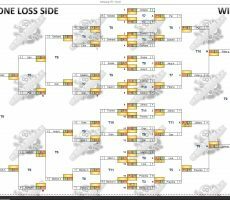 4th : Andy (A+5) – 2500 baht. 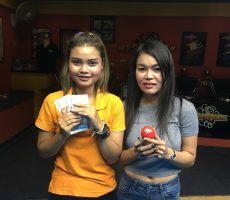 Equal 5th : Preecha (Pro) and Par Radardow Inamka (A+4) – 1500 baht each. The Player Auction Prize Pot totalled 24500 baht and was won by Tommy Fineman. 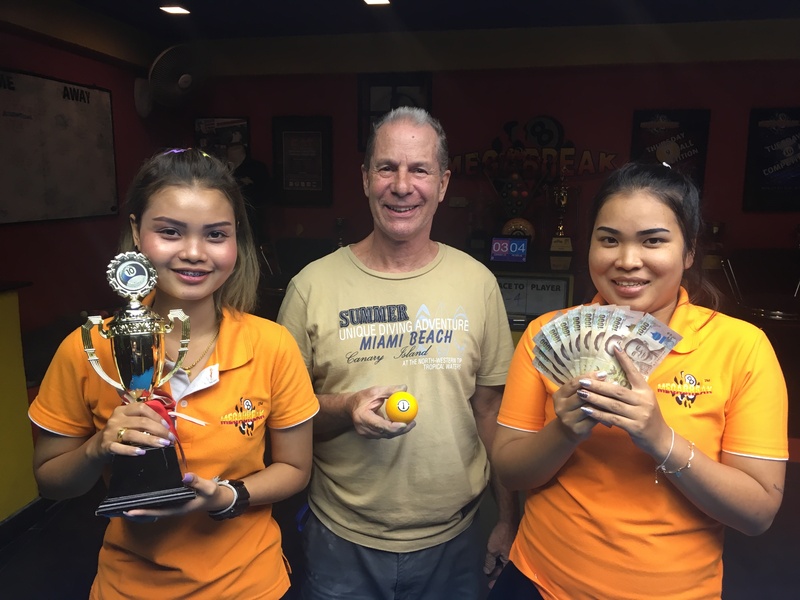 He bought our champion for 1000 baht, and bagged the 1st Payout of 9500. 1st (40%) : Tommy (Peter) – 9500 baht. 2nd (30%) : Johnny (Himself) – 7500 baht. 3rd (18%) : Barrie Sherman (Gan) – 4500 baht. 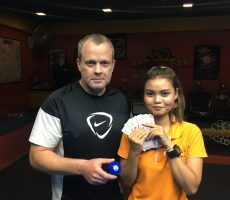 4th (12%) : Markus Nolberczak (Andy) – 3000 baht.